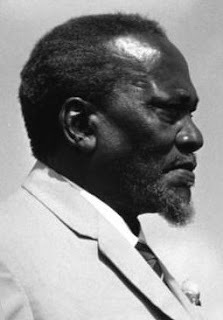 father of Kenyan nation.He was the leader of the Kenyan independence movement.He has also authored many books.His is the father of the current president of Kenya ,Uhuru Kenyatta. He was born in 18th August 1893.After completing his education he joinded the movement for Independence.At that time Kenya was under British Colonial Rule.He was elected as the president of Kenyan African Union (KAU) in 1947.He was arrested and sentenced to 7 years imprisonment in 1953.He was released in 1961 following public demand,after that he was admitted to the legislative council. He became the prime minister of Kenya after Independence was declared on 12 December 1963.When the constitution was amended to make Kenya a republic he was elected the first president of Kenya on June 1964.He was the president of Kenya till his death on 1978. He died on 22nd August 1978 in Mombasa .